For the second week we will have sweet corn at the Wednesday Town and Country Farmers’ Market, but good news, there will be much, much more than last week. We apologize to anyone who missed out on the sweet corn last week. It sold out rather quickly, but we have been able to harvest much more of it this week. 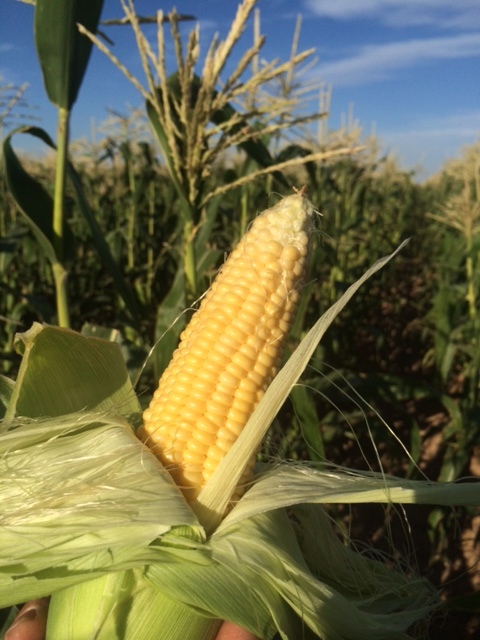 The corn is at the peak of the season and has a wonderful sweet flavor. 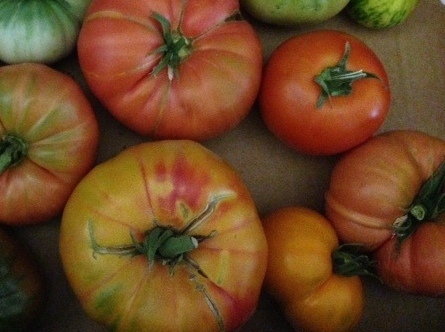 Heirloom tomatoes are coming into their season and we will have those at the market as well. 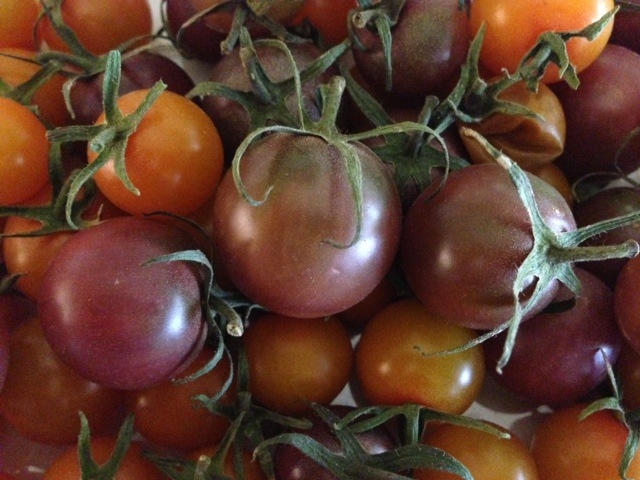 There are so many beautiful varieties of heirloom tomato right now, with equally fun names like Zhezha, Amethyst Jewel, Blue Medley, Pink Boar, Nebraska Wedding, Cherokee Purple, and Mr. Stripey. 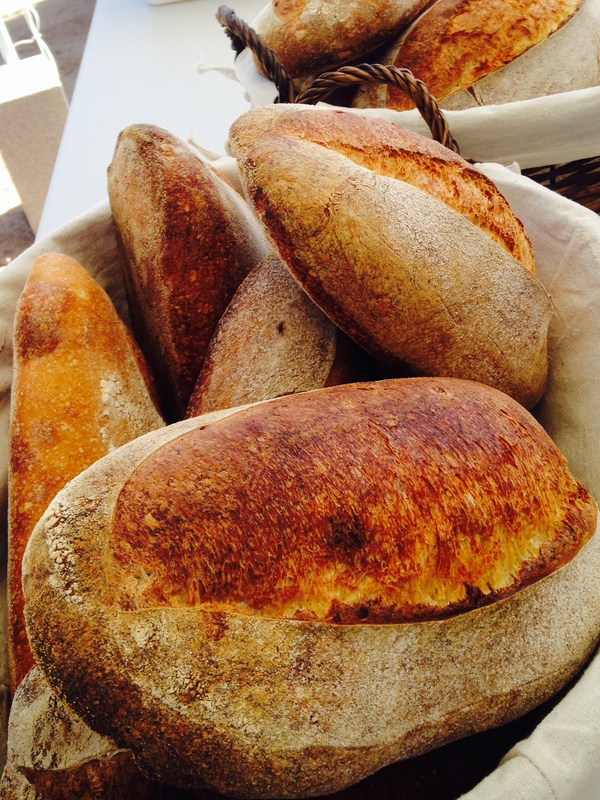 Jason and Claudio from Noble Bread will also be with us at the market. If you haven’t tried their Grain & Legume bread make sure you pick up a loaf. This has become my new favorite from them and we have a loaf of it in our home every week. It has a wonderful hearty toasted crust and is chewy and soft on the inside with bits of lentils. As with all of their breads, the Grain & Lentil is made with organic and GMO-free flour and uses naturally fermented whole grains, such as organic spring wheat berries, organic hulled barley, organic hulled millet and organic lentil beans. Can you imagine a panzanella salad with this bread and some heirloom tomatoes? That just may be dinner tonight. We have three more Town & Country Farmer’s markets before we are done for the season. Come visit us tomorrow!! ← Sweet corn is here! !